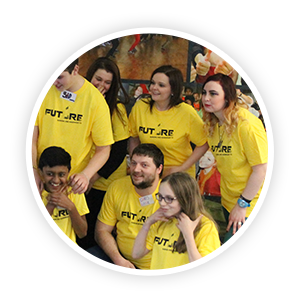 Volunteering at Future Youth Zone is the perfect way to support local young people and your community, enhance your skills and have a lot of fun along the way. 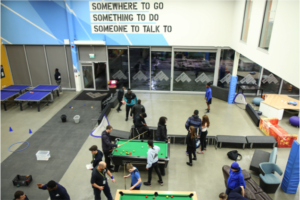 Future Youth Zone is looking to recruit a committed core of volunteers from a wide range of backgrounds that will help to deliver a world-class service to Barking and Dagenham’s young people. 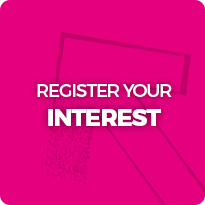 Click here to register your interest in any of the volunteer roles below. We often have activities which the young people can attend which are offsite including inter Youth Zone activities and sports matches. This requires a dedicated minibus driver to drive the young people to these events. Sport will be one of the cornerstones of our work, and we will have some fantastic facilities for young people including floodlit outdoor all-weather pitches, climbing wall, a boxing gym, a state of the art fitness suite, a purpose built skate park, a full-sized sports hall which is capable of being transformed into basketball, netball and badminton courts, as well as housing cricket nets. We’ll also offer martial arts, rounders, trampolining, and much, much more. If you have experience of any of these sports, whether playing or coaching we need you to get involved! 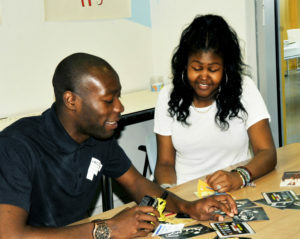 Support and enable young people with additional needs to fully participate within the Youth Zone. We will offer a range of activities for anyone with physical or mental impairments based on demand from our members. Our aim is to support all young people to become as independent as possible and maximise their independent living skills to exercise as much choice and control over their lives as possible. 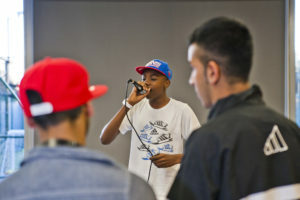 Our approach is based on working with what young people can do, not what they can’t. Future Youth Zone offers a diverse and stimulating blend of art-based activities that allow our young people the space and time to express their creative talents in a safe and nurturing environment. We encourage the young person’s art, design and crafts to be seen and enjoyed by others. 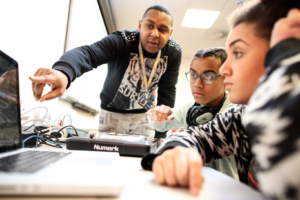 Future Youth Zone is proud to have state of the art music suite with acoustic, electric and bass guitars, drums, keyboards and other instruments as well as a high-tech recording studio to bring out the rapper and or singer in each young person. We are looking for volunteers to teach instruments, write songs and produce records in the studio. We also have various opportunities to work within our office, completing administration duties and reception work. There are opportunities with I.T and all general admin duties. You can gain valuable experience and improve your communication and organisational skills. We require volunteers who can support our young people in learning topics relevant to planning and running a business and to consider whether self-employment is right for them. Our members often need a little help and advice with their career direction and help with both completing CVs and with interview techniques. It may also be that they require advice and support with managing money, filling out forms or understanding the small print. Our large well-equipped kitchen provides quality meals and snacks for our young people at affordable prices. The kitchen is well subsidised to enable kitchen staff to provide nutritious and delicious meals to all our young people. We will require enthusiastic, engaging volunteers to help serve food and snacks. We will also provide cooking courses, sessions and training within the kitchen environment. 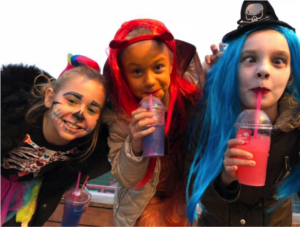 We require volunteers in all the previously mentioned opportunities who can come and help us deliver our extensive holiday programmes during half terms, Easter and the summer holidays. If you have time off from college and university and looking to gain experience, this would be perfect for you. The main times would be 8am-12noon, 11am-3pm and 2pm-6pm but there are other times available if these are not suitable.